All travelers other than Indian nationals arriving in Nepal are required to have six months remaining validity on their passports. Tourist visas are available on arrival at Tribhuvan airport and land border's immigration offices or Nepali consulates abroad. The cost of the visa varies on your length of stay (please see fee information below). Two passport photos are also needed. Note: That visa fees can change without warning and we advise that you bring extra cash as a contingency. While participating in Trekking Mart holidays packages (particularly Trekking and Climbing) it is important to have a valid travel insurance policy to cover the cost of emergency medical treatment or evacuation. Though travel insurance is recommended, traveling with Trekking Mart without insurance is possible - in this case we require a hand-written statement stating that the participant has chosen to travel with us without insurance. The climate in Nepal is affected largely by the monsoons. This region typically experiences a dry season lasting from October to May, and a wet season lasting from June to September. The months of October- November and March-May are an ideal time to visit, as the visibility in the Himalayas is considered to be the clearest and the vegetation is lush. Between the months of February and May, the increasing temperatures can provide for more enjoyable trekking in higher altitudes. To learn more about weather and best travel time in Nepal, check out at season and weather page. All types of trekking adventures require a fitness level sufficient to facilitate sustained periods of intense walking on uneven terrain and steep grades. Participants who are in a good level of physical conditioning will gain the most enjoyment from our trekking adventures. Activities such as sports, yoga, and physical exercise are recommended in preparation for your trip. We recommend consulting your physician for a complete checkup before your departure. Necessary equipment varies depending on trekking routes, seasonal factors, and chosen method of trekking (tea-house or camping accommodations). 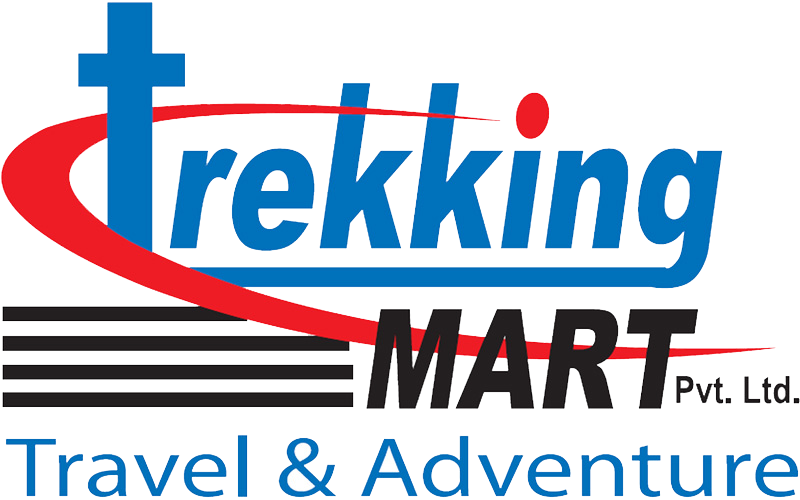 Equipment for all types of treks is available for rental or purchase in the vicinity of our Kathmandu office - Trekking Mart will provide you with detailed information on equipment and packing lists prior to your departure. The most important consideration for any trek is staying warm and dry. Lightweight, breathable, moisture-wicking under layers are highly recommended. Insulating layers and jackets are necessary. Warming layers such as a fleece are adequate for lower altitude treks, while at higher altitudes, down jackets are advisable. Comfortable trekking boots, quality socks (wool socks are recommended), and head covering (insulating caps and brimmed caps designed to block sunlight) are essential. Outer layers should be made of waterproof, wind-blocking material such as Gore-Tex. For camping-style treks, quality sleeping bags are necessary. For tea-house trekking, beds and blankets are provided (though we recommend carrying a lightweight sleeping bag liner for your comfort). Sunglasses and sun-block cream, drinking water bottles, torchlights, foot care items such as foot powder and Moleskin, insect repellant, and personal hygiene items are also necessary. Nepalese immigrations do not require any vaccination for your visit to Nepal. For concerned parties, vaccinations for Cholera, Meningitis, Tetanus, Diphtheria, Typhoid, and Gamma Globulin should be considered. Aspirin or Panadol - for pain or fever. Antihistamine - a decongestant for colds and allergy relief. Antiseptic, mercurochrome and antibiotic powder spray - for cuts and grazes. Calamine lotion - to ease irritation from insect bites or stings. We need at least 20% advance payment to confirmed your trip booking by bank transfer, credit card fax payment or western union, Balance payment can be clear in cash $, £, €, ¥ or local currency (NPR). ATM machines are available in Kathmandu and major population centers in Nepal. Credit cards are accepted in major hotels, restaurants, and shops. Foreign currency exchanges are located at Tribhuvan airport and throughout the tourist centers in Kathmandu. While trekking, we recommend carrying a sufficient amount of money to cover the cost of meals not included in the trip, extended stays in hotels, and personal expenses. Note: For more detail about Nepal travel informations, please go through our travel tips page.